NEW YORK, NY (Oct. 16, 2018) – Active Staffing Services, a regional leader in light-industrial and office services staffing, has named Delta E. Hazell director of human resources. In this role, Ms. Hazell will lead the development of HR strategies for the company. She will also manage all HR operations, programs and compliance functions for both temporary and internal staff. Ms. Hazell is a distinguished human resource professional, with more than 20 years of experience in management and recruiting roles in industries ranging from retail and pharmaceuticals to finance and banking. 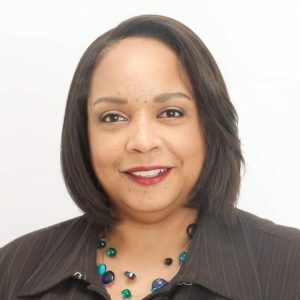 Prior to joining Active, Ms. Hazell was senior human resources manager for Extensis Group, one of the largest Professional Employer Organizations (PEOs) in the country. Ms. Hazell holds a Professional in Human Resources (PHR) certification and is accredited as a Certified Professional by the Society of Human Resources Management (SHRM-CP). She is a graduate of The College of New Jersey. Ms. Hazell will be based at Active’s headquarters office in Manhattan. For more information on Active Staffing, visit online, on Facebookor LinkedIn, or call 212-244-6444.